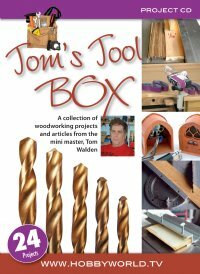 In 2009 and 2010 I wrote a series of 24 articles for the American Miniaturist magazine entitled “Tom’s Toolbox“. These articles were quite a hit and people were printing them or cutting them out and saving them in notebooks. 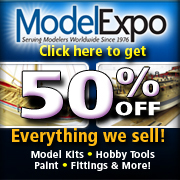 They contain quite a variety of subjects ranging from miniature tools tricks to tool reviews to how-to’s. If you missed any or all of this series, you can now get it on CD. Then you can print them or even enlarge pictures when need be. Every month, IGMA and NAME miniature furniture maker Tom Walden delighted readers of American Miniaturist Magazine with entertaining and enlightening articles on miniature tools and miniature woodworking techniques. Now, we are happy to present his beloved articles in a handy, digital Project CD format. Enjoy all 24 of his articles from issue 58 through 81 right on your computer screen. Flip through the pages with your mouse and even print off your favorites.